This week was relatively easy and laid back because of the Cleveland Half Marathon on Sunday. I didn’t know if I’d run it this year, but after winning an entry to the distance of my choice, I figured it’d be the perfect tune up for Medina. Plus with the new course, how could I say no! Monday night I was at the dealership instead of Body Fusion, but luckily made it home before spending a few hours in the basement for tornado warnings. I should have done some yoga, but I couldn’t relax with the storm. Thankfully we didn’t have any damage, but other parts of town and our neighborhood were badly flooded. Tuesday I debated running at the rec because it was just so hot and humid. But once I saw my neighbor kids handing out cold drinks, I decided to do a short run outside and reward myself after I finished up. I headed to the trails for maximum shade and ran a short out and back. I was a hot sweaty mess, but still managed to keep my pace under 9:00 somehow. 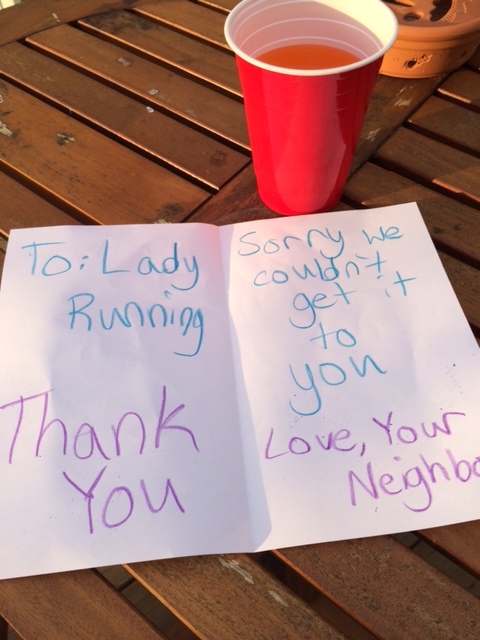 Unfortunately when I got back, the neighborhood kids had run out of drinks, but about 5 minutes after my run, they came over and made sure I was hydrated. Wednesday I headed up to the square and worked on a few things for the Medina Half. Since I was already up there, I decided to get a few miles in and run some of the streets I ran last year. It was a little chilly, but humid, but it felt great to get back on the streets I really enjoyed running. I ran an out and back and had some hills thrown in for good measure. I took the rest of the week off to make sure my body could rest up for Sunday’s race. I did a short, slow shake out run Saturday and hoped I’d be ready for Cleveland! Sunday was a long day, and the recap will come this week, but I wanted to touch on it shortly as I’m suddenly at a cross roads. My goal for Medina was to run sub 2. After last week’s course run, I wasn’t sure I could do it, but I did it, just not at Medina. So here I am, two weeks before race day, already met my goal, and preparing myself for the next half. Lucky for me it’s official taper time, and I can reevaluate what I want to do for Medina. It’s a tougher course, so breaking 2 will still be difficult, but not out of the question. I’m also 20 weeks out from Wineglass Marathon, which means I need to start working on a training plan, and decide if I want to do 16 weeks or 18 weeks. 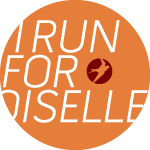 Experienced marathoners, this is where I need your help…. All in all, week 14 was a good one, and honestly unexpected. I’m going to take the next two weeks easy, work on hills and come up with a new plan for Medina. Have you ever reached your goal time earlier than your goal race? How many weeks do you use in your marathon training cycle? There’s still two weeks left to get your donations in for Team JDRF. If you’re interested in donating, you can do so here. That’s so sweet of your neighbors! I hit my goal of a sub-2 hour half in my first race of the year which I wasn’t sure if I could do given how hard the course was. I still ran sub-2 in my “goal race” but was able to relax a little and enjoy it more, especially since the course was easier. Congrats on hitting your goal! Looking forward to reading more about the race.